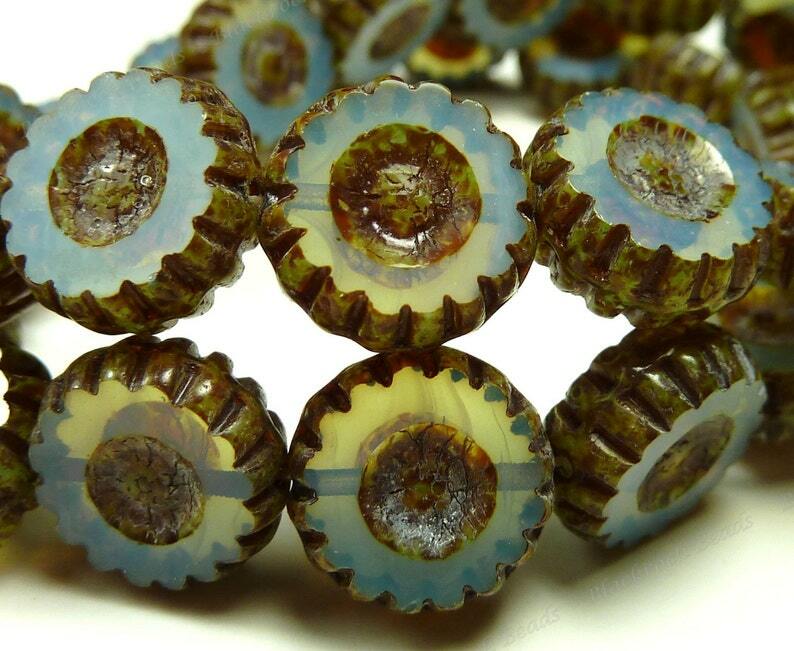 This listing is for very nice Czech glass beads in French Blue Opalite Picasso. These are flat round carved coin beads with an indented center on both sides and a picasso finish that measure 13mm and 5mm thick. You will receive 6 pieces with this purchase.